I'd like to dedicate this post to an amazing organisation called Django Girls. 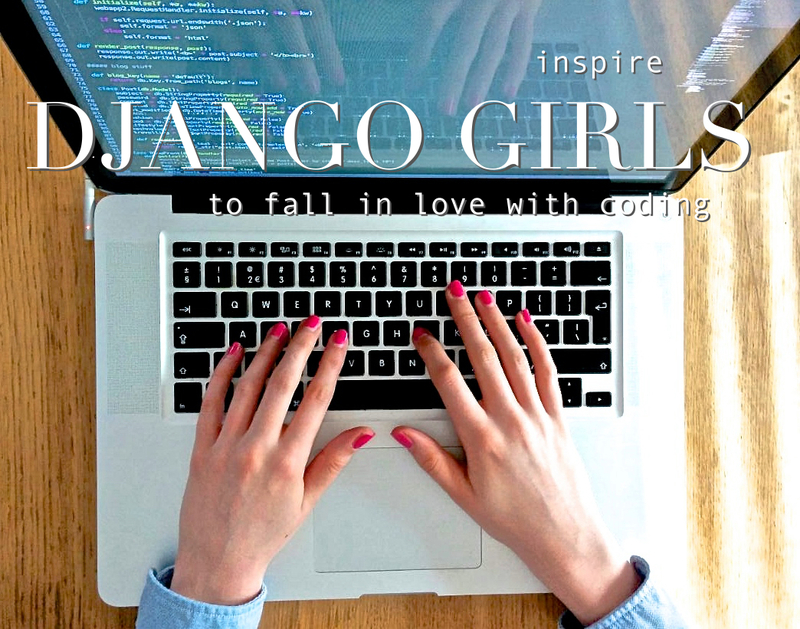 Django Girls wants "to inspire women to fall in love with programming". They empower and help women to organise free Python and Django programming workshops by providing tools, resources and support. In the workshops they help you build your first application using HTML, CSS, Python and Django. A typical workshop takes 8 hours and people work in small, 3-person groups with a coach dedicated to each group. They organise events all over the world and on the 20th and 21st of March I'll be joining them in London as coach! I'm really excited to help people writing their first application and making them enthusiastic about coding. And I'm sure I'll learn a lot myself too! Unfortunately, you can't apply for this workshop anymore, but they have lots of events coming up in other places, such as Groningen, Paris, New York, and Cardiff. If you're a woman who's curious about programming but doesn't have any coding experience yet, I'd definitely recommend going to a Django Girls workshop. I must say that in general I feel that organisations should be a bit careful with organising tech events just for women, because I think we should strive for equality in tech and I don't think excluding men from events will help to achieve this. Moreover, such events might give women a wrong idea about what it's like to work in tech, since in the real world it's not very likely that you'll be working just with women. In fact you'll probably be one of the few or maybe even the only woman working with just men.